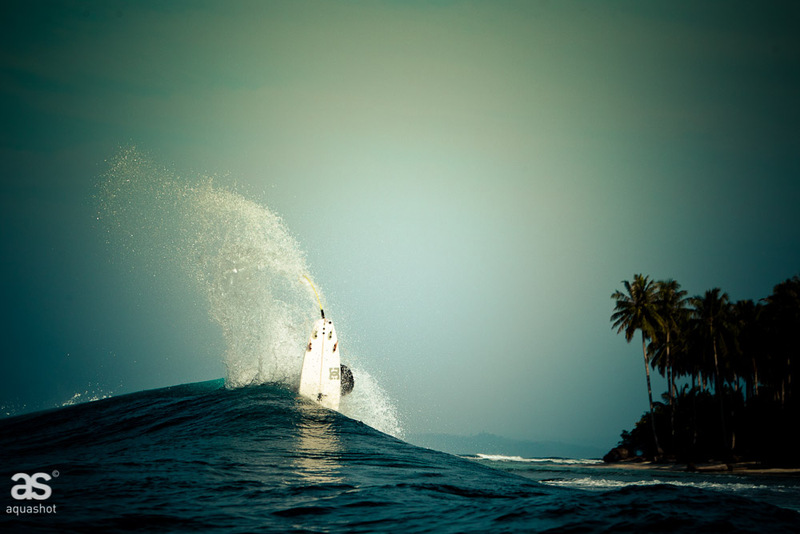 During his last trip in Mentawaii Islands in July 2011, Aquashot’s photog, Bastien Bonnarme made the cover of Surf Session magazine n°290 of September. The shot have been made with Ramzi Boukhiam, 18 years old, Morroccan surfer at Macaronis during an amazing sunset. Benjamin Sanchis aka Sancho, Miky Picon, Ramzi Boukhiam, Dimitri Ouvre, Tristan Guilbaud and Jose Maria Cabrera were the surfers who made the trip in Indonesia on King Millenium I. The full reportage is written by Miky Picon. The guys have surfed Greenbush, Maca’s, Lance’s Right, Rag’s Right… that was a cool moment. Here are some images of the trip, unpublished.